Troy One Point BattleSling You need to cover some dangerous ground. You need your weapon at-the-ready. You need Troy’s capable and comfortable One Point BattleSling. The cushioned, non-slip shoulder pad is reversible for strong or weak-side carry. 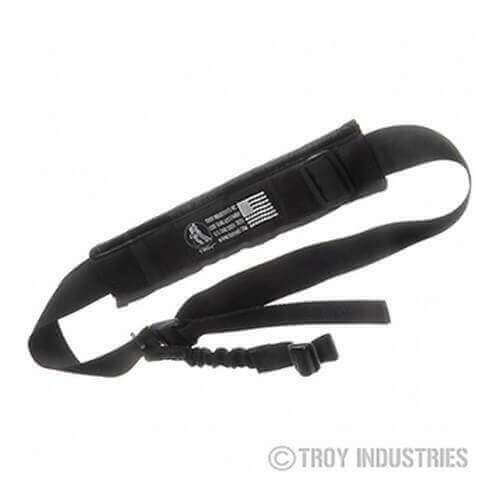 A tri-glide system, with emergency strap, positions the weapon anywhere on the shooter’s chest for hands-free carry. – Handle features narrow-coated webbing for better holding and easy adjustment.